This entree salad has so much flavor and substance that it’s completely satisfying, full of great flavor and texture. 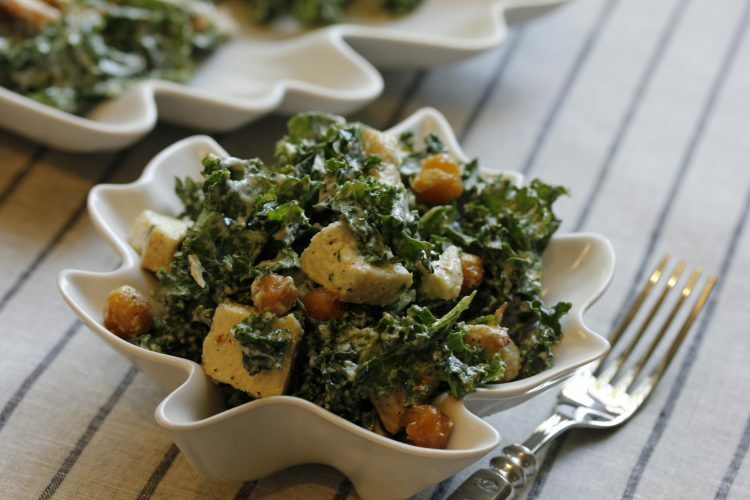 The chickpeas are surprisingly crunchy, and those things that look like croutons? They’re actually chunks of grilled chicken that stand up to the garlicky Caesar and kale base. You’re going to love it!